X-PO Light is an innovative LED (Light Emitting Diode) backlight system for exhibition and display panels. Designed primarily for the exhibition display sector, X-PO Light transforms printed display banners into stunning backlit displays. X-PO Light can transform old display banners into highly modern light boxes. 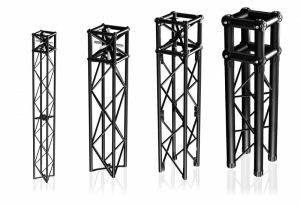 With multiple sizes and combinations available, the X-PO Light system is compatible with all X-Module exhibition trussing products! As a general rule, exhibition light boxes are extremely expensive. Typically made from glass, they are usually very heavy and are awkward to assemble, transport and store. X-PO Light is completely different! Designed to fit behind printed banners, X-PO Light uses low energy LED technology to create extremely effective displays. Given the rigidity of the structure comes from the trussing framework, the lighting element of X-PO Light is extremely lightweight. It is also extremely cost effective and significantly less expensive than traditional back-lit displays. Create stunning displays and bring your stand to life with LED back-lighting. Structural rigidity comes from the exhibition trussing framework thereby saving weight. Attach the light box behind the display banner. Attach the transformer. Let there be light! The most affordable back lighting system for display graphics in the world? We think so! 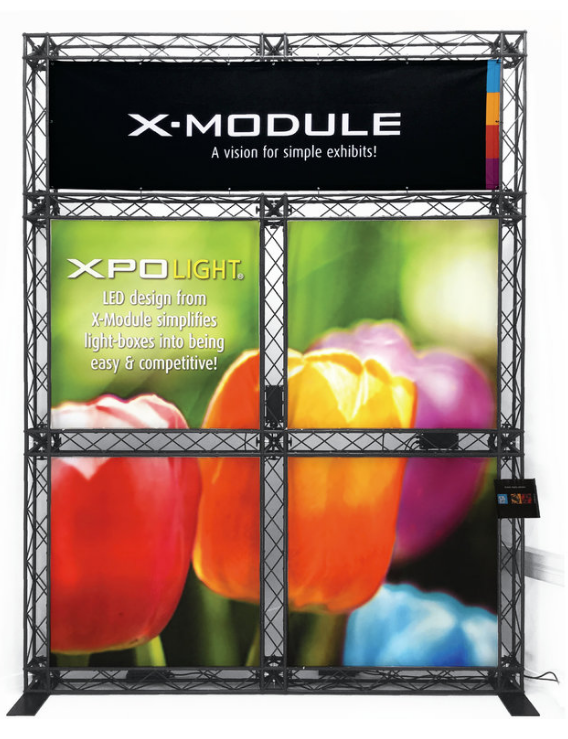 X-PO Light is compatible with the entire X-Module exhibition stand range. There are four solutions in our modular exhibition stand range. From smallest to largest, they are: CROSSwire (X-10), EXPOwire (X-15) and TRUSSwire (X-20).